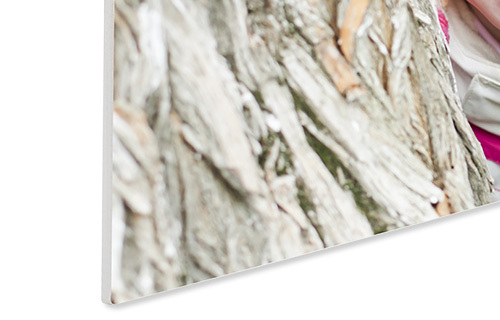 An elegant alternative to show off large format prints! 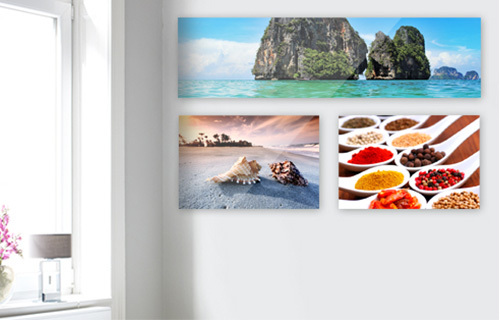 Your photo is printed by UV printing directly onto a white foam board. We use a high-pressure system with seven colors and produce your photos in high resolution on a matt surface. For the formats but we offer you classic sizes, square formats and large panoramic prints up to a width of 150 cm at. For mounting on the wall, you have several options. Depending on the format, you can choose between the classic rail system, a screwing or simple mirror sheets. The distance from the wall is from 10 to 20 mm, and the suspension is not visible. Thus, the effect is generated that her image seems to float in front of the wall. 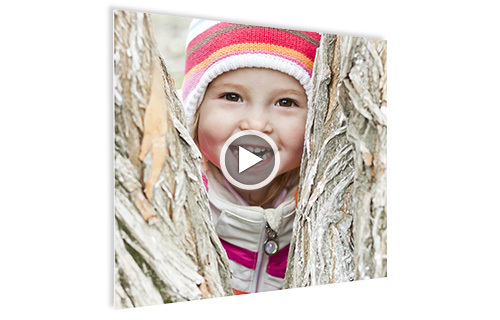 Direct to 5 mm thick rigid foam board printed photo. With our mini-series you can easily create individual works of art that go beyond the conventional. 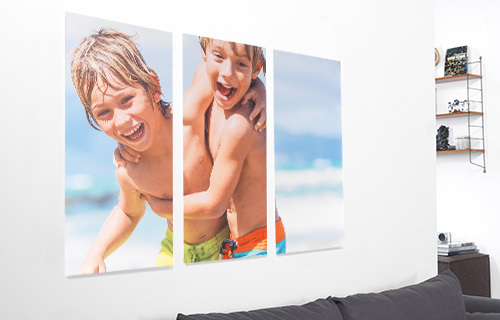 Your photo extends over several items, such as in a diptych or triptych two three individual screens. We offer you a huge range of possibilities. 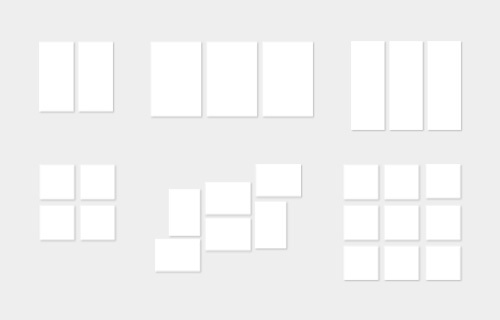 More dividers are not only for various materials from our Wanddeko range, but also in many format combinations with two, three or four parts. You decide only for one of your photos or choose a work of art from the Design Gallery and your favorite miniseries is finished.